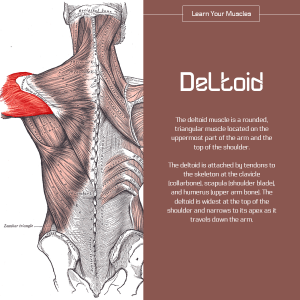 If you have pain in the deltoids you may also experience pain else where in the body. Such as the forearms, pectorals, rhomboids and into your armpits. Have a massage either a deep tissue or myofascia.